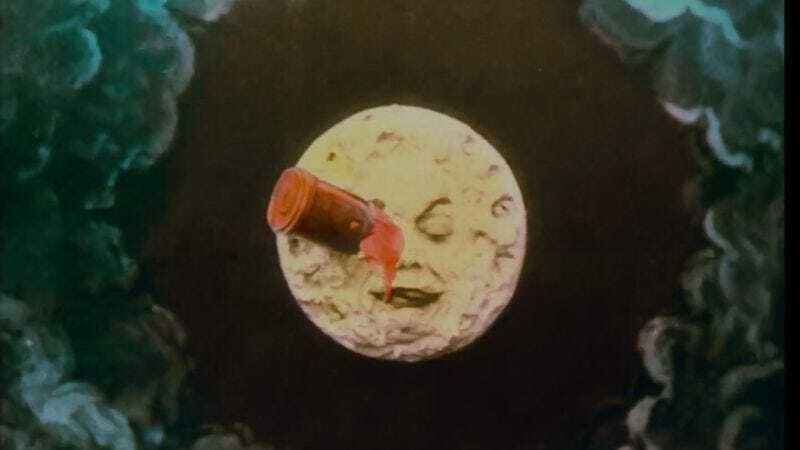 When Georges Méliès released his pioneering short film A Trip To The Moon in 1902, he was setting a precedent that filmmakers would follow for decades to come. If there’s one thing the movies still like to do over a century later, it’s putting human beings into rocket ships and firing them like bullets into the inky, unforgiving void of the cosmos. Fandor Keyframe celebrates this strange heritage with a video essay by Daniel Mcilwraith called “Cinematic Space Trips.” Here are some of moviedom’s most memorable excursions to infinity and beyond, including 2001: A Space Odyssey, Gravity, Solaris, Interstellar, Dark Star, and The Martian. Cinematic Space Trips from Fandor Keyframe on Vimeo. The supercut focuses not on fantastic space operas like Star Wars; apart from the fanciful Méliès film, most of the titles included here aim for some kind of realism and authenticity. The result is not just a tour through cinematic history, but of our understanding of space travel itself.